One of the great attractions to pipe-smoking, however unconscious it may sometimes be, lies in the sense of finally getting to sit down and “take a load off” after a hard day’s work. 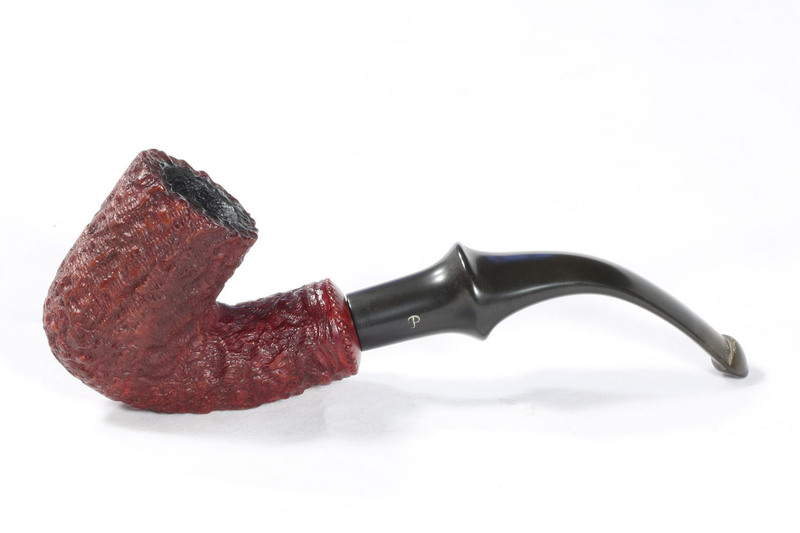 Peterson has had two names for such pipes: “setter” in the 1906 catalog, and “flat bottom,” coined by master-carver Paddy Larrigan in the late 1970s. Paddy’s humorous explanation for the utility of such pipes will be found in The Peterson Pipe Book: The Story of Kapp & Peterson, but there’s no reason we can’t take a look at the shapes. The first flat bottom Peterson appeared in the 1906 catalog as a Patent-Lip (non-System) shape, and was, as you can see, available in either an army-push or traditional flush mount. From the engraving, it was a decent-sized pipe, measuring about 133 mm (5.25 inches) in the push and 127 mm (5 inches) in the flush mount, with a classic chamber geometry of approximately 2.1 to 1, or about 40mm (1.55 inches) deep by 19.5mm (0.77 inches) wide. The straight stem would’ve meant the pipe would “set,” but have to tilt back onto its button. If there were any flat bottom shapes from 1906 until the mid-1940s, the catalogs and brochures we know of show no signs of them. Then in 1945 came the famous Specialty Line, and with it the Tankard & Barrel duo, two small pipes that are so archetypally Irish that one is a little surprised to find they haven’t been made since Saint Fionán and the brothers set up shop atop Skellig Michael off the southwest coast of Ireland in the sixth century. Then at some point between the 1997 catalog (the first released under Tom Palmer’s ownership of the company) and the 2000 catalog, the old familiar army-push Tankard & Barrel disappeared, replaced with a straighter flush-mount P-Lip-only stem. I confess, semi-Luddite that I am, to liking the earlier versions of these pipes better than the more recent. Partly it’s the stem-bend, partly it’s the army mount, but mostly it has to do with the “stick-in-a-stump” look of the earlier pipes. They just look a little less refined, a little more growly. The word on the street is that both Tankard or Barrel are ideal for flake tobaccos, because the chambers are small – about 17.5 mm wide by 32 mm deep. I’m a long-time Virginia flake user, but I haven’t found a use for a chamber as small as these. I’m wondering whether something really high in ‘Vitamin N’ might do well in such a chamber—something like Samuel Gawith’s 1792, or maybe a tobacco like Semois? A shorter smoke. Bowl Height: 1.65 in./42.01 mm. Chamber Depth: 1.22 in./30.95 mm. Chamber Diameter: 0.69 in./17.64 mm. Outside Diameter: 1.22 in./30.95 mm. The Dunmore Premier System is an unmounted version of the System that was only on the market for about ten years or so at the tail-end of what some would call the end of modernity. What qualifies it a flat bottom—and perhaps this is a bit of a stretch—is that the back of the shank is flattened to allow the pipe to rest upright, balanced on the stummel and button. Some System-users believe the Dunmore doesn’t do the System justice, as the reservoir’s capacity isn’t the equal of the regular System line. The ones in my rotation seem to perform just fine, although being a compulsive worry-wart, I’m always wondering if they do, in fact, function quite as well. The 306 and its smaller brother the 304 were Paddy Larrigan’s second flat-bottom creation, and you can see the influence of the original Peterson barrel. The shape definitely speaks with an Irish brogue in a meat-and-potatoes with lots of gravy way. Most Pete fans either love the shape because of its functionality as the only System with a flat bottom, or think it a bit drab. I resisted this shape for many years, but after hearing Paddy Larrigan talk about how he made it in 2013, I decided, when I found one in the Premier grade at the Nassau Street store the following day, that I wanted one as a reminder of him. It was a good decision. The Old English Collection Tankard is a traditional English shape made by several British pipe-makers over the years, and Peterson’s version is a light and delicate as any. The bowl itself is, I suspect, identical with the standard-issue Tankard, although the dimensions listed below are very slightly different—probably due to sanding rather than being a different shape altogether. The 2006 Limited Edition is a beefy, low-slung poker with double-ring engraved silver cap. 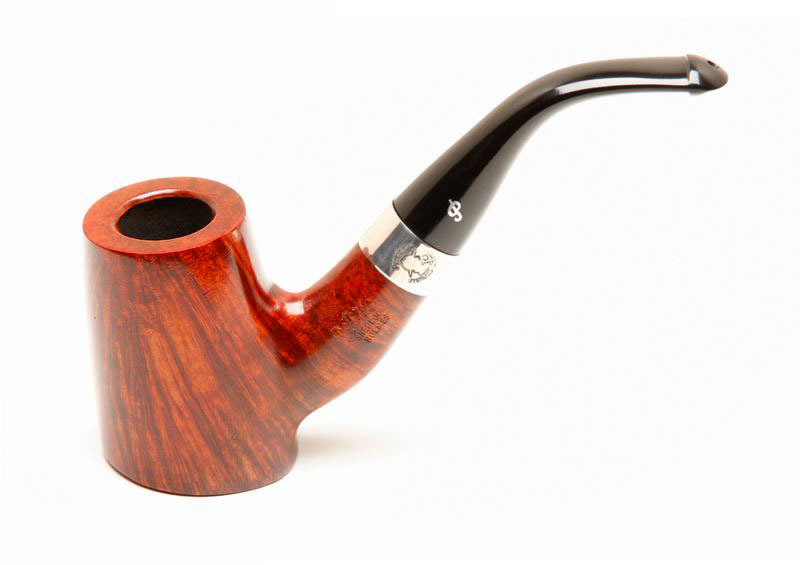 I owned a very nice example for several years, but as my tastes began to veer away from English blends, the large-diameter chamber kept us apart, and I eventually let it go to someone who could appreciate it more. The Rivers Collection from 2007 is another amazing set of six shapes, the Corrib being right at the top of the list for me. It’s got the largest chamber of any of the flat bottoms . This is among my favorites of the eccentric special collection shapes, a muffin-top paneled flat bottom. It appeared as part of 2009’s Castles quartet, which featured some very unusual shapes. Its chamber, at about 46.5mm tall by 19.30 mm wide, places it for me in the “chimney” category. I got a lovely example of the shape on my first Peterson pilgrimage, and my only complaint has been that my pipe won’t sit! I got one for my Dad in the rustic finish, and it sits just fine. Comparing the two, it appears the tail of mine is sanded to a soft edge, whereas my Dad’s has a crisp edge. Caveat emptor! Oh well—as you can see, I can’t complain about the grain, or its smoking qualities, for that matter. Also appearing in the Castles Collection was the Malahide, a quiet barrel-bowled poker which at first looks to be the same bowl as the 1945 Specialty Line Barrel, but is in fact a larger piece, as the dimensions below reveal. When the Mark Twain “cob” appeared in 2010, I confess I was less than impressed. I’ve never liked one thing masquerading as another – doubtless the influence of Nathanael West’s crazy novels and my own sacramental worldview that things should be what they are. Nevertheless, I was forced to reassess my evaluation when the shape trickled down to its dress in the 2016 St. Patrick’s Day line. I think it was the original straight stem-bend that put me off. In any case, as you can see by the photo at the top of this note, I’m enjoying one now. One curiosity that I can’t explain is that the shape has no shape number, only a name. The Peterson label on the box-end labels it a “TankL,” which Tony Whelan, Jr., factory director, translates as a “Large Tank” or “Large Tankard.” This is not unprecedented, of course, going back to the earliest days with original “Setter” shape and other shapes that had no numbers, only names. And of course the Specialty Lines like the original Tankard and Barrel had no number, either. The L Tank has also appeared, briefly, on the Italian market in 2013’s Rock of Cashel (Italy-only) line. Bowl Height: 2.06 in./52.21 mm. Chamber Depth: 1.55 in./39.43 mm. Chamber Diameter: 0.80 in./20.36 mm. Outside Diameter: 1.42 in./35.99 mm. 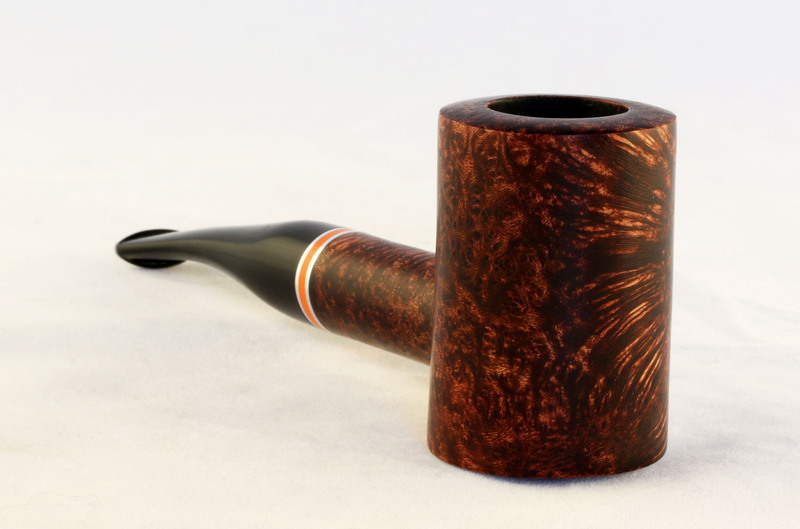 At the end of the burst of Peterson’s 21st-century flat bottom frenzy comes the craziest and most massive they’ve undertaken, the Hopkins, from the quartet of pipes released as The Adventures of Sherlock Holmes in 2011. It is unwieldy, heavy for a Peterson (77 grams! ), and loaded with whimsy, its entire design suggesting some of the more outrageous pipes drawn and painted by French surrealist René Magritte. I owned a mid-line version briefly, one with the hotfoil P stamp on an acrylic fishtail stem with fairly dark stain. At some point I will find a high-end, ruby-stained P-Lip Hopkins with vulcanite stem and install it on a little shelf under my print of Magritte’s Ceci n’est pas une pipe. Length: 5.98 in. / 152.14 mm. Bowl Height: 2.40 in. / 61.11 mm. Chamber Depth: 1.62 in. / 41.39 mm. Chamber Diameter: 0.79 in. / 20.20 mm. Outside Diameter: 1.59 in. / 40.39 mm. 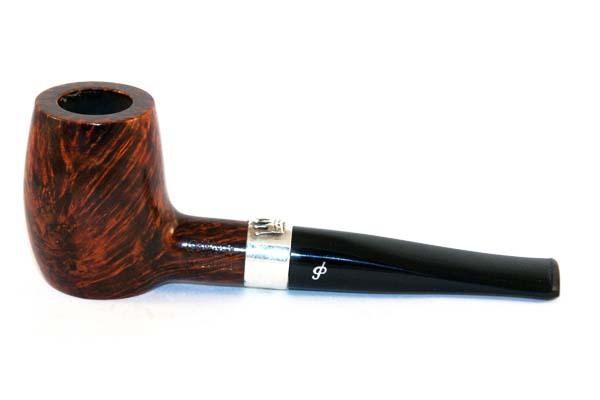 *Yes, I’m caviling again about the round-end P-Lip mouthpieces on the current Standard and Premier System pipes. These are just excruciating between the teeth and must make anyone new to the System wonder why his jaw aches after every smoke. 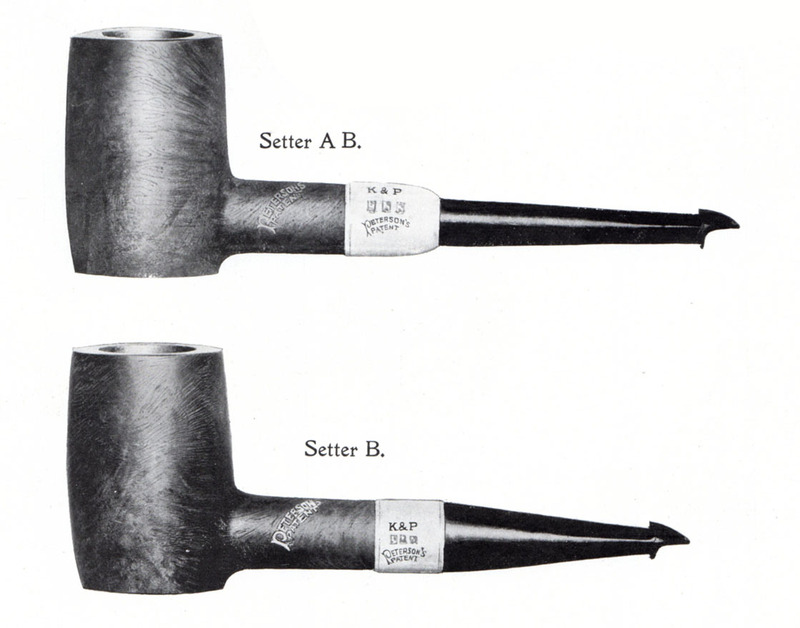 I had never seen the “setter” pipes from the catalogue. I quite like them, but tend to be partial to poker style shapes. 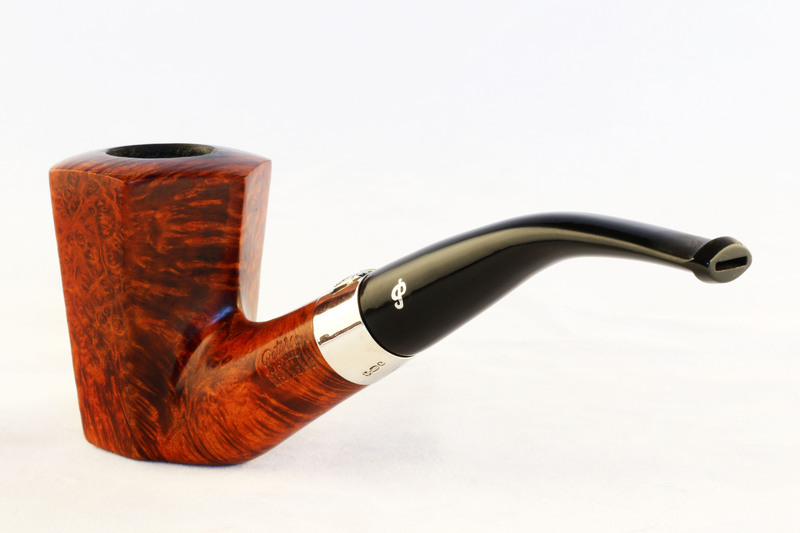 Another nice one is the b58, it’s perhaps not technically a sitter pipe due to the rounded bottom, but it does sit nicely regardless. It’s a shape I really like, although not a classic Peterson shape, I feel they made it work nicely. the sitter, especially the Tankard shapes are one of my favorites. Great read as always Mark. I’d never seen the setter images from the old catalogues, so that was s real treat. Another shape that could almost be included amongst these is the B58. Although it has a rounded bottom it still sits nicely in place. It’s not a typical Looking Peterson style, but they really did a great job with it. The B58! Of course! Aka the “Starboard” from the Iceberg Collection — I’m looking at mine right now and thinking it ought to be on the list, because it sits just fine. 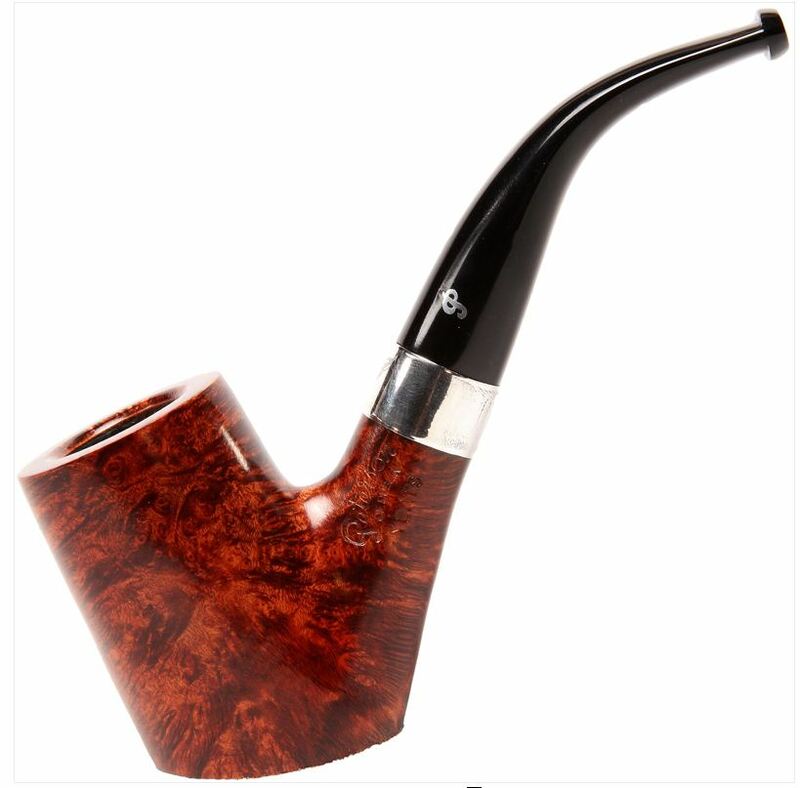 Love your posts and everything that you write about Peterson Pipes. 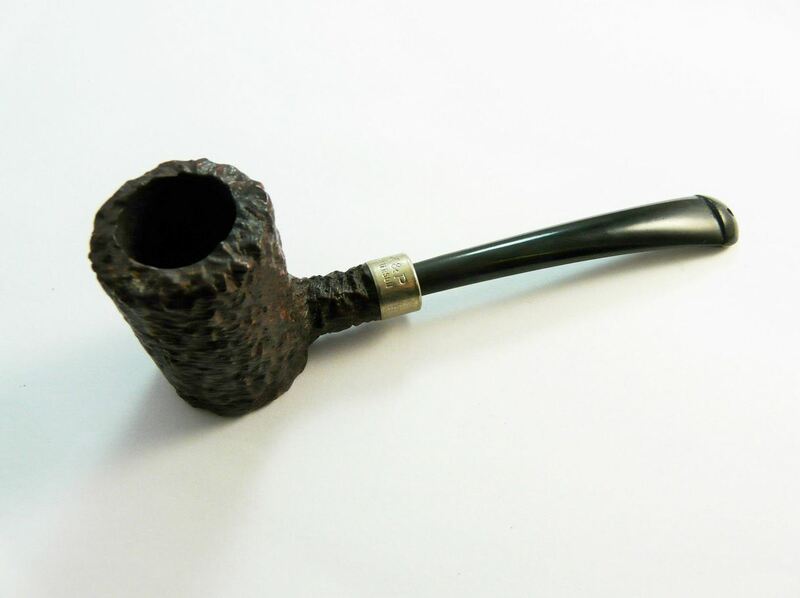 There are very few pipes that I know of that were hand made by Paddy Larrigan himself. I am fortunate to own several of these and they are indicated by Paddy’s initials stamped in script on the shank of each pipe. As far as your “caviling” about the P-lip stems, they are classic, historical, and fit my teeth just perfectly. I on the other hand am not very fond of the fishtail acrylic stems. Keep up the great writing and I wait patiently for your book to be in print. Hi Andy! I’m not talking about the classic P-Lips stems, actually, just those made in the past 10 years or so. My older Petes have much flatter buttons, with more a more pronounced upper and lower shelf. The old 301 from the late 70s was really terrific. I’m much more comfortable with a P-Lip than a fishtail, and I agree, the acrylic stems are difficult to clinch. Now I understand your reasoning about the newer P-lip stems. Thanks for the clarification. That certainly does make sense. I guess sometimes newer isn’t always better. 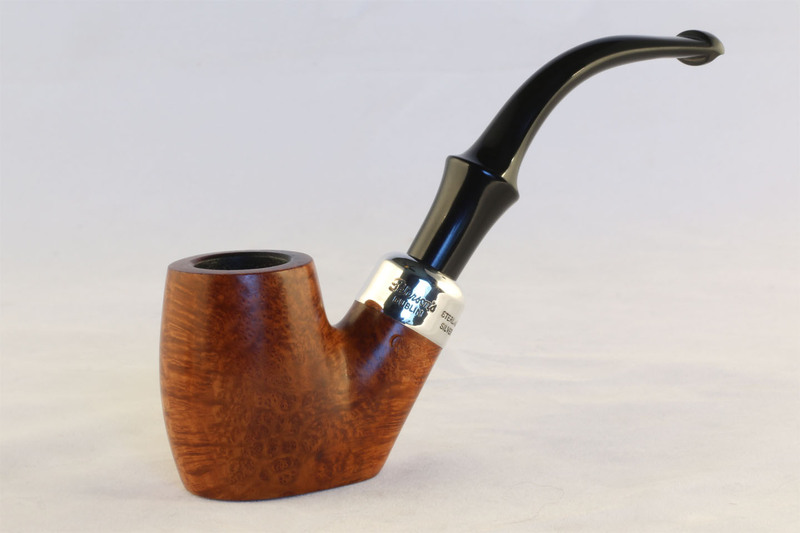 This is quite an interesting article because I don’t think anyone has ever focused on flat bottom pipes, especially on the Peterson label. Thanks for sharing all of the photos and your information it’s a valuable resource. 2/3rds the way through the 2nd draft… I hope it’s The Last! A great summation of an interesting line of shapes. 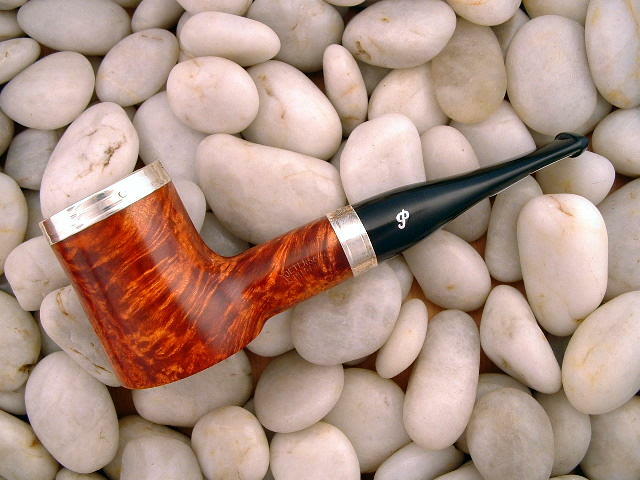 While I’m not a fan of the Cherrywood or Poker style pipe, I do like the Peterson Barrel shape. 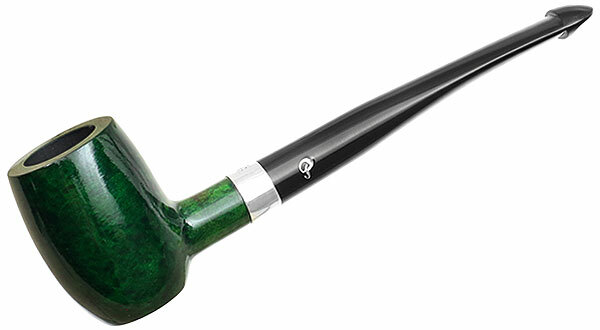 I don’t have many “pipe regrets” but I would love to have back a Barrel that I sold several years ago, before discovering my preference for the p-lip vulcanite stem. The gentleman who bought it always has it with him at the Allentown (PA) pipe club and I’m envious of the shape and 22 gram weight. Interesting notes here. I prefer a pipe that sits on its own and was curious to try the Hopkins, but the size of it was a little too much for me. It’s hard to hold, but just tickles me to look at. The Writer’s Collection Yeats is easy in the hand if you’re looking for a bent flat bottom. With your love of pokers, I can see why! The 45-style Tankard appears with fair regularity on ebay. They’re never too pricey, and you’re good at restoration, I know!